Another Mi Store is opening before the month ends. This time, its somewhere south. The branch in Star Mall Alabang will open on November 30, 2018. UPDATE 11.27.18: Added details about the opening day promo. 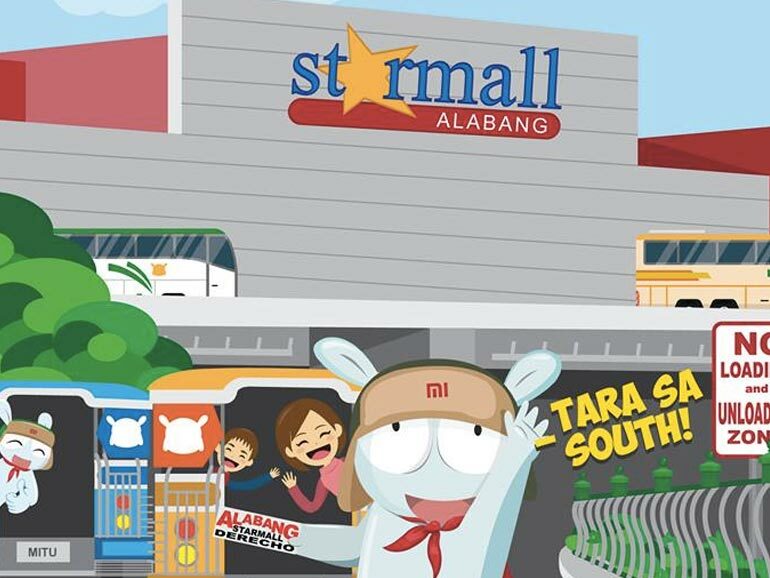 Since Mi Stores started popping up in the Philippines, they mainly concentrated up north. Mi fans from the south of Makati have been clamoring for an accessible branch. There was news of one opening in SM MOA, but we’re not sure if it’s done. Well, our wish was granted. Kind of. Recently, the company has announced on their official Facebook page that the first southern branch will be located in Muntinlupa City. The new branch is going to be on Level 2, Cyberpoint Annex, Starmall Alabang. It’s not as accessible to most like say, the one in SM MOA, but it’s a good start. The branch will open on November 30, 2018. Like other grand openings, there will be giveaways and special promos on the day for those who queue in line. Those going to the store on opening day can sign up and register HERE. Customers in queue on or before 11AM will get a free Mi Shirt. Customers with a minimum purchase of PHP3,000 before 3PM will win random freebies thru peel stubs. Customers with a minimum purchase of PHP5,000 worth of Mi eco products and accessories will get the chance to win a Redmi Note 5 3GB + 32GB. Customers with purchases of any smartphone worth PHP9,000 or above will get a chance to win a Pocophone F1 6GB + 64GB. Customers with a minimum purchase of PHP30,000 worth of ecosystem products that includes Laptop, TV, Projector, Ninebot Mini, QiCYCLE, or Electric Scooter will get the chance to win a Mi A1 4GB + 32GB. For more details on the mechanics, you may visit this LINK. This will be the fifth official Mi Store in the Philippines. Other branch locations are in TriNoma Mall, SM Megamall, SM City North EDSA, and the Gateway Mall. Another one might soon open at the SM Mall of Asia. SM Megamall – 4/F Cyberzone, Building B, SM Megamall, EDSA, Ortigas, Mandaluyong City. Contact Number: (02) 903-6482. Gateway Mall – Level 3 Gateway Mall, Araneta Center, Cubao, Quezon City. Contact Number: (02) 966-5751, 0917-561-5050. For Xiaomi Philippines service centers, visit this link for the full list. Is Home Credit available in Starmall Alabang? ano oras po ang draw ng raffle?